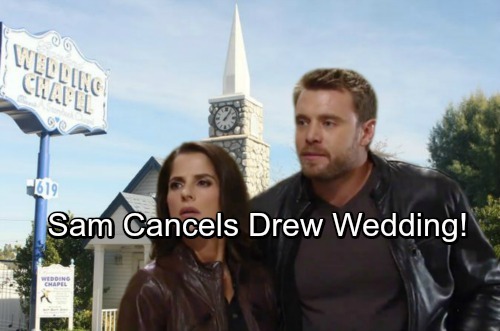 General Hospital (GH) spoilers tease that Drew’s (Billy Miller) digging could lead to big trouble. He can’t seem to get a grip on his past and that’s why he intends to keep searching. Drew just can’t rest until he knows who he really is. Of course, knowing could come at a steep price! GH fans can expect Drew to face some dangerous dilemmas down the road. When Jason (Steve Burton) first returned, Sam (Kelly Monaco) refused to walk away from Drew. She’s struggled since making that decision, but she’s doing her best to stand by it. Sam loves both twins, so she’s seemingly choosing Drew out of obligation as well as her preference for the safe life he offers. However, Drew may not be the safe choice for long. 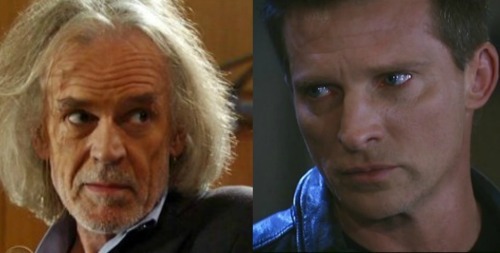 General Hospital spoilers hint that extreme peril could be headed his way. Some shady characters from Drew’s past will emerge along with some dark secrets. Even Drew himself could’ve made some iffy choices just before the memory mapping took place. He should make some stunning discoveries as this hot plot moves forward. It’s clear that Faison (Anders Hove) wanted Drew to take Jason’s place for a reason. Jason doesn’t know what that reason is yet, but he hopes to find out. He’ll undoubtedly share the news with Drew when he discovers it. There could be some sinister objective that catches Drew off guard. Some of the people in Drew’s past may have had Faison connections long ago. Drew could’ve been monitored and targeted for many years. When the time was right, Drew was obviously snatched up. Faison’s plan ultimately went awry and that means Drew could be considered an enemy or a liability now, too. Jason isn’t the only person who poses a threat to Sam, Danny (T.K. Weaver) and Scout. As the rest of Drew’s wild past comes to light, Sam’s in for shock. General Hospital spoilers suggest that she’ll have to face the facts. A life with Drew no longer guarantees Sam’s safety or the safety of her kids. It sounds like Drew will bring some chaos to Sam’s world. Their impending marriage may be called off while Sam deals with all the crazy developments. We’ll give you updates as other GH details emerge. Stay tuned to the ABC soap and don’t forget to check CDL often for the latest General Hospital spoilers, updates and news.